The automotive industry has a high procurement rate for small and complex parts or tools. 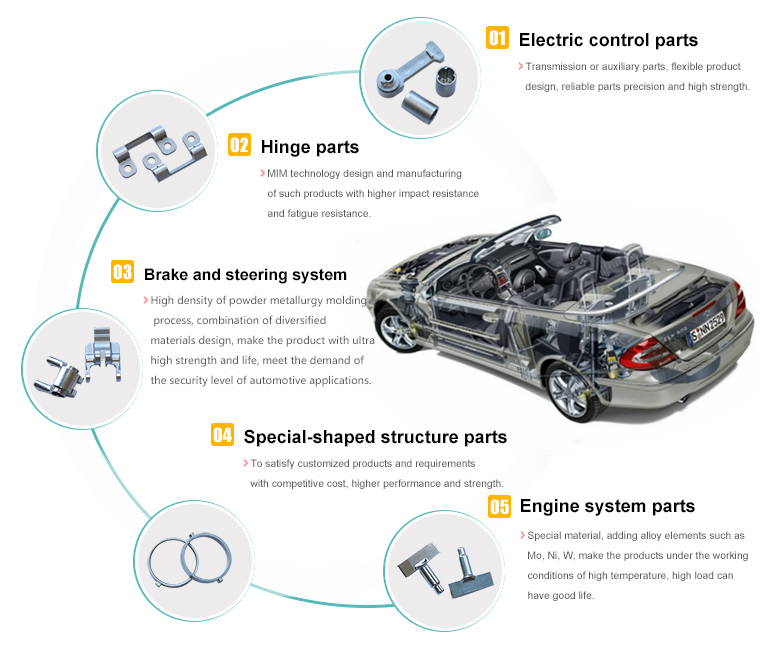 Large demand for small and lightweight components in electrical systems, fuel systems, interiors, powertrain, and safety systems is projected to increase the preference for MIM technique in the automotive sector. Metal Injection Molding (MIM) used in the manufacture of automotive components such as vanes, engine gear, valves, connecting rods, oil supply system, fuel system, valve guides, injectors clamp turbocharger, seat adjustment system, parking brake, window opener, door lock system, main bearing, seatbelt system, airbag system, gear box, automatic transmission, pumps, and turbo superchargers.